I'm going to Columbus this weekend with a friend who is a pescatarian. Anybody have fantastic local suggestions with interesting vegetarian options too? The only place we have on our list so far is Jeni's. Last edited by JustinHammond on Fri Sep 07, 2012 5:54 pm, edited 1 time in total. Isn't the neighborhood called Short North something like Columbus's NuLu? Robin Garr wrote: Isn't the neighborhood called Short North something like Columbus's NuLu? Seriously, I've heard it's very cool and our hotel is intentionally walking distance from there. But we've had no time to research and I was hoping for some of the great suggestions I always get from Forumites. Yeah, Short North is right. We walked around the Short North area after dinner and had ice cream from Jeni's. Short North has a much higher concentration of shops and restaurants than NuLu and a more pedestrian friendly feel. We had dinner at the Flat Iron Bar and Diner on a rec from the front desk at our hotel. We chose it because it was the closest. Pretty good BBQ, fried oysters, and wings, but not the best atmosphere. Nida's Thai on High (http://www.thaionhigh.com/), in the Short North area, is a very good Thai fusion place with great food and solid cocktails. You'll find a lot of vegetarian and pescatarian options there. My sister-in-law lives in the area, and it's one of her favorites. I've been once, and enjoyed it a lot. Forgot one - DeepWood, also in the Short North area, is pretty good. We just had appetizers and drinks, but everything was great. They have separate vegetarian and gluten free menus as well. "NuLu" is such a stupid moniker for that area. Who came up with that name in the first place ? What's wrong with simply calling that area "East Market" ? 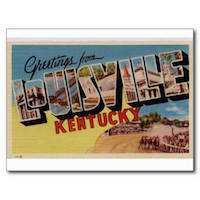 Mark A. wrote: "NuLu" is such a stupid moniker for that area. Who came up with that name in the first place ? What's wrong with simply calling that area "East Market" ? I think it was Gill Holland, the Green Building guy. He got the business community down there on board, and it became a done deal. I thought it was stupid, too, and resisted it for a while, but at some point when a meme wins, you either give in to it or start looking cranky.